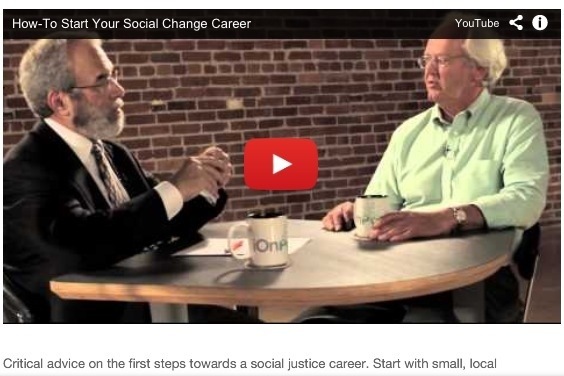 Talk to social entrepreneurs – How to start your social change career – Go India, go future! This morning I came across a fantastic video. I think there is so much truth in it and maybe it is a good starting point for today. As the social entrepreneurs in How-To Start Your Social Change Career explain, community service is a selfish act of self-improvement. You live your future career as it actually will be. You build practical, durable skills. You increase your market value as a change agent. Most of all, you embed for life whose side you are on in the timeless struggle for social and economic justice. What do you think? And what are your experiences? Previous Post Hi, I am Mr Innovation …. Thank you @Digitaltome for posting a great video. Great truth!